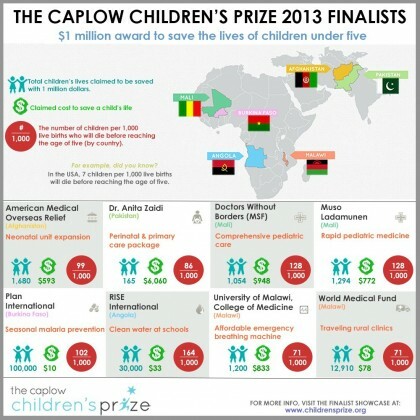 The $1 million Caplow Children’s Prize is the largest humanitarian prize dedicated to saving children’s lives in the world today. Recognizing that nearly 18,000 children under five die from preventable causes every day, the Children’s Prize works outside of traditional channels of foreign aid and philanthropy to uncover and fund the most impactful, credible, and cost-effective, action plans for reducing child mortality. Dr. Anita Zaidi, a Pakistani woman who left a successful pediatric career in the United States to save children’s lives in her homeland, has won the first-ever $1 million Caplow Children’s Prize, the largest award dedicated to reducing child mortality in the world today. PKPR secured coverage of the announcement in major international outlets from The New York Times to the Associated Press. PKPR is thrilled to be working with entrepreneur and philanthropist Ted Caplow, who founded the $1 million Caplow Children’s Prize, the largest humanitarian prize dedicated to reducing child mortality. To announce the Prize’s eight finalists, PKPR placed three exclusives for the day of the announcement. CNN ran an op-ed by Ted on why he was inspired to launch the prize, Fast Company published a slide show and story on each of the finalists, and Ted appeared on HuffPo Live to discuss the Prize and finalists. Stay tuned - the winner will be announced on December 10th.